If you are looking for stylish, elegant and unconventional mens church suits, we welcome you to our online store. We offer the best quality and fantastic church suits for men at our store. You can find a wide range of classy and impressive men church suits. Our store carries the latest fashion trends exclusively designed for you. If you are looking for stylish, elegant and unconventional mens church suits, we welcome you to our online store. What Mens Church Suits Are? A church suit comprises of the coat, waistcoat, a pair of pants and dress pant. Although standards for wearing clothes for the church have changed over time, it is generally expected from men to dress in best suits and garments while attending any church event or service. Men church suits are the best kinds of garments that you can wear as they are elegant and stylish. We Ship Fashions is the ultimate online store for buying church suits for men. We offer high quality and special wholesale church suits for men. For more than 17 years, we offer suites that are highly sophisticated followed by exclusive styling and elegance at a fair price. We have strategically partnered with the best church dresses designers who have a proven record in the market. We Ship Fashions company offers the best and latest collection of men church suits. The wide variety of designs, shapes and cuts including tuxedos and trench coats makes it easier for customers to buy as per their needs. Our online store offers designer church suits, NY men’s church suits, luxurious church suits, upscale church suits, superior quality designer church suits, church tuxedoes, walking church suits and a lot more. Our store has been a leader in quality. 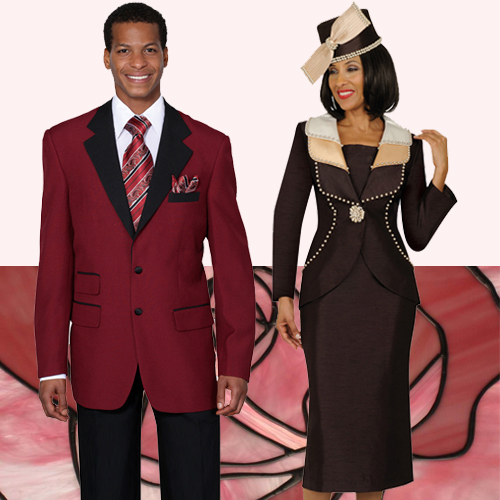 Why Choose We Ship Fashions for Mens Wholesale Church Suits? There are different important elements which make “We Ship Fashions” the best among its competitors. These elements vary from quality, affordable pricing, and delivery to customer. We believe in quality. For more than 17 years, our store has been a market leader in providing men’s church suits of the highest quality to its clientele. We Ship Fashions prides itself in providing best merchandise to all of its customers. Having a wide range of options available for wholesale men’s church suits, our customers can choose suits for themselves as per their choice. A wide variety of church suits makes our store the first preference of customers. Providing quality apparels at the most affordable prices are the primary objective of our company. Our church suits for men are priced 50% to 60% below wholesale. We Ship Fashions delivers and supplies its products to more than 6000 retailers. Every ordered church suit for men is shipped within one to two days of ordering. Our goal is 100% customer satisfaction. We go out of the way and walk an extra mile to satisfy our customers, and this feature makes us the best, in the market. We want our customers to be completely satisfied with their church suit.